Financial regulators around the world are cracking down on banks. With anti-money laundering (AML) and know-your-customer (KYC) procedures being put under the microscope, huge fines are being levied against institutions which are found to be in breach. In fact, over the past ten years, banks across the globe have been slapped with a total of US$26 billion in monetary penalties for AML and sanctions violations. And while financial institutions across Asia have received far fewer fines than other regions, it's not expected to stay this way. Since the global financial crisis of 2008, stricter regulations have been put in place in a bid to create a more transparent financial system. Between 2009 and 2015 alone, a massive 50,000 regulations were created across the Group of 20 (G20), with many more regulations updated and published since. Despite their necessity, keeping up with the sheer volume of new regulations has proven to be an onerous task. While it may be the case that some banks or individuals are knowingly breaking the rules, many are simply grappling to keep on top of the mounting compliance requirements. But it's no longer an issue banks can afford to ignore. Financial institutions that don't make compliance a key focus face the risk of hefty fines and unwanted media attention. 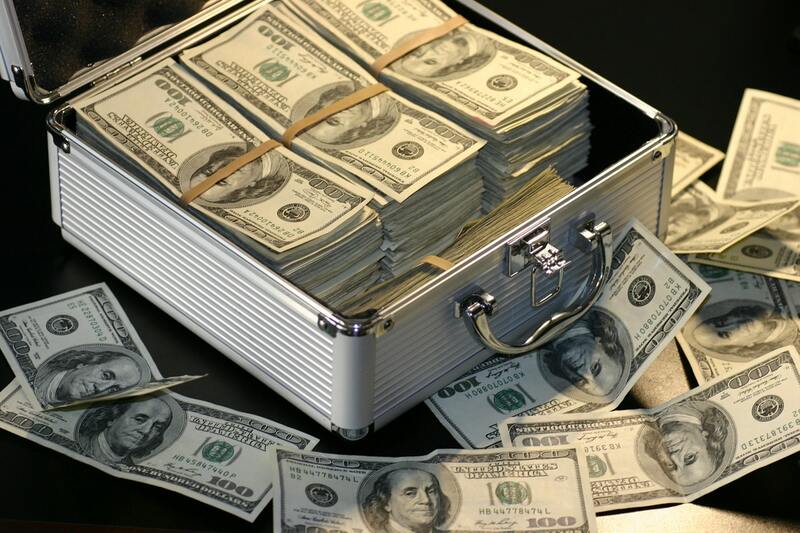 Recent research, carried out by Fenergo, examining global fines from 2008 to 2018, found that U.S. regulators were responsible for 91% of the world's AML, KYC and sanctions-related fines over the past decade, levying a staggering US$23.5 billion in fines. In APAC over the same period, the fines issued were comparatively small, totalling US$609 million; US$534 million of which was issued in a single fine. However, the large disparity in fines between the U.S. and APAC does not indicate that there are more compliance breaches in the U.S. It is simply an indicator that financial centres in the U.S – as well as those in the UK and Europe – have more mature regulatory frameworks and more active regulatory authorities. There are also a far greater number of regulators in the U.S. which also accounts for the greater number of fines. But this is expected to change. Legislators and regulators are increasingly focussing efforts on aligning with the recommendations issued by the Financial Action Task Force (FATF) – an inter-governmental body which issues guidance to promote the effective implementation of legal, regulatory and operational measures to combat money laundering and terrorist financing. In particular, Hong Kong has increased regulatory efforts to rectify perceptions of it being a jurisdictional conduit for dirty money, following investigations into the Russian Laundromat and Panama Papers scandals which revealed Hong Kong as a major beneficiary of crime proceeds. With a number of FATF onsite visits scheduled across the region over the next two years, including Japan, Korea and New Zealand, we expect to see an increase in legislative and enforcement activity. In Japan, the FSA commenced a series of bank evaluations, surveying the measures implemented to tackle AML/CTF compliance. The FSA also issued a report earlier this year outlining a revised approach to bank supervision. In the wake of the Panama papers, beneficial ownership transparency has also become a key focus, with many countries implementing an array of legal and regulatory instruments aimed at increasing transparency, including the introduction of national beneficial ownership (UBO) registers. A number of countries in the APAC region have taken steps to implement national registers of beneficial ownership. In Hong Kong, the Companies (Amendment) Ordinance 2018 introduced the requirement for Hong Kong incorporated companies to maintain a 'Significant Controllers Register' which must be made available to law enforcement officers upon request. Similarly, Singapore's Companies Act was amended in 2017, requiring companies to maintain a register of registrable controllers. Until the Australian Transaction Reports and Analysis Centre (AUSTRAC) levied a US$534 million fine for repeated contraventions of AML legislation, Australian institutions had never received such a large fine. And nor were they expecting one, it seems. Figures show that Australian banks invest far less in compliance than their global peers. In recent years, the combined investment toward regulatory change by three of Australia's biggest banks totalled AUS$1.73 billion – a stark comparison to an estimated US$900 million to US$1.3 billion major international institutions spend individually. However, considering this year's US$534 million fine, as well as Australia's Banking Royal Commission which uncovered numerous other breaches, major changes are afoot. Investment in compliance is expected to be a key focus of Australian banks in the short term. Since 2016, the Monetary Authority of Singapore (MAS) has issued nine separate fines for AML violations, totalling US$17 million. In addition to these penalties, MAS closed the local branches of two financial institutions for AML weaknesses and improper conduct by senior banking personnel. Prior to 2016, MAS had not issued one single fine for AML/KYC/sanctions weaknesses. The sharp spike in recent fines suggests shifting compliance standards for the region. Both regulatory authorities in Hong Kong, the Securities and Futures Commission (SFC) and the Hong Kong Monetary Authority (HKMA), have recently increased AML and Counter-Terrorism Financing (CTF) regulatory enforcement actions. Over the past 18 months they've imposed seven fines for violations of AML rules, each ranging from HK$2.6m to HK$9.6m. The fines serve as a warning to other financial institutions in the region. Both the HKMA and SFC have made it very clear that AML and CTF compliance will continue to be a priority, with the SFC establishing a temporary specialist team within its Enforcement Division to specifically tackle KYC and AML/CTF failings. While China has committed to a stronger focus on AML, they have imposed fines of only US$94,000 since 2016 for AML violations. This year, the People's Bank of China (PBOC) has started to take a stronger position on its approach to AML, with AML becoming a key pillar of the national strategy on financial regulation. Recently, the country integrated its supervisory mechanism for AML, anti-terrorism financing and anti-tax evasion. In 2016, the Philippine's central bank, Bangko Sentral ng Pilipinas, fined a Philippine bank US$21.3 million for its involvement in the laundering of funds stolen from the Bangladesh Central Bank in a cyber heist. While this is the only fine for AML non-compliance during the country's history, it is the second highest fine imposed by any APAC regulator. Following this incident, the Philippines' Anti-Money Laundering Council (AMLC) adopted rules that impose tougher sanctions and higher fines on individuals and financial institutions who have been found to have engaged in money laundering activities. Global regulators around the world are increasingly focused on AML, CTF and KYC violations. For financial institutions in APAC, compliance and the rate of regulatory change will continue to be a key concern. Yet as challenger banks continue to disrupt the state of play, the new battle ground is customer experience. Financial institutions must embrace a synergy of financial, regulatory and emerging technology such as AI, robotics process automation (RPA) and machine learning, to achieve back to front digital transformation that promotes straight through processing (STP) for optimised efficiencies and stay ahead of the curve. Technology will not only digitalise the customer journey for a smoother experience, it will shorten time-to-revenue while enhancing risk management across the board, ensuring fewer fines.